Office design has moved beyond the cold minimalism and austerity of former years. Nowadays offices are conceived from the inspiration and comfort provided by the home, aiming to create warm and welcoming environments that foster creativity, emphasizing the unique culture of each company. 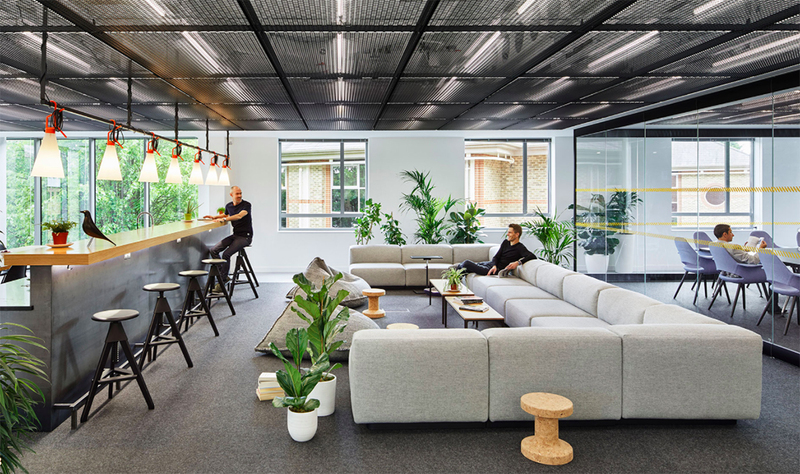 For these new spaces -open, flexible and conducive to team work- the decorative elements take on a more important role and help to communicate a work culture in a more user friendly setting. This is why more and more companies are choosing GAN to decorate their offices, lobbies and meeting room spaces. 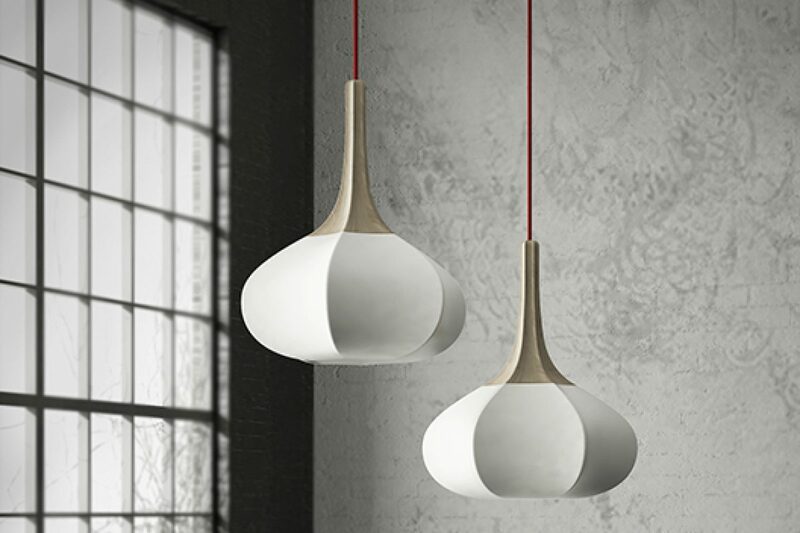 GAN brings calm, a touch of colour, and its characteristic contemporary design based on traditional crafts. 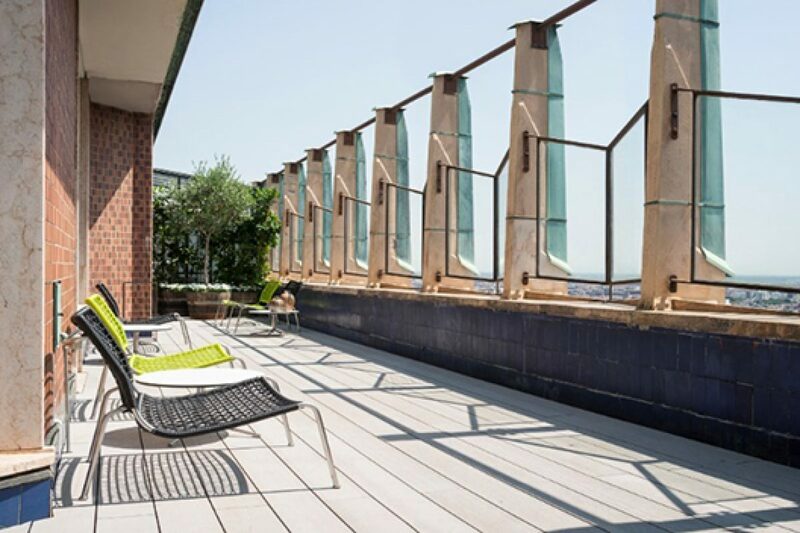 The co-working firm WeWork recently inaugurated in Amsterdam the company’s second location there, the latest addition to a network of 270 spaces around the world. WeWork offers work spaces, meeting rooms and a community spirit to creatives, start-ups as well as small and large companies. 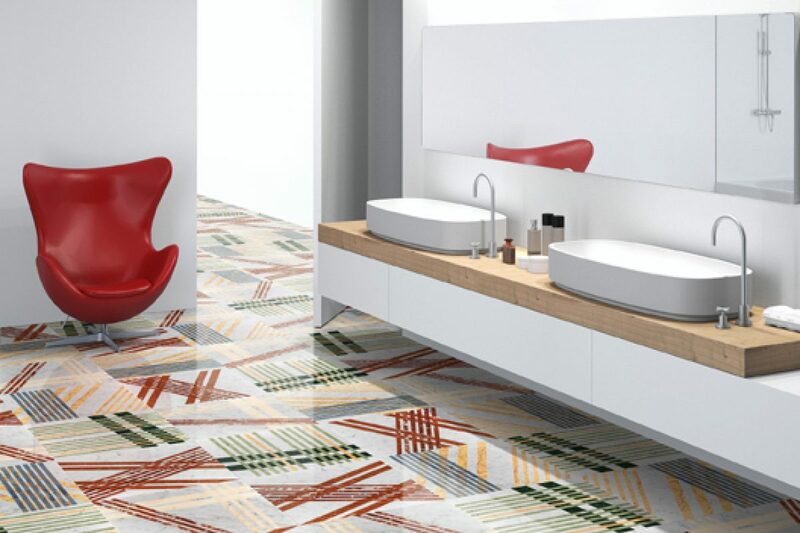 For its decoration, which feels fresh and cheerful, the modular collection MANGAS SPACE by Patricia Urquiola was chosen. The combination of elements (rugs, poufs and cushions) with their daring colour tones inject a sense of vitality and even make it possible to work sitting on a sofa, just like home. Pinterest, the well-known social platform, has 43,000 sq.ft. of office space in San Francisco, designed by an amalgam of studios: All of the Above, First Office as well as Schwartz and Architectur. 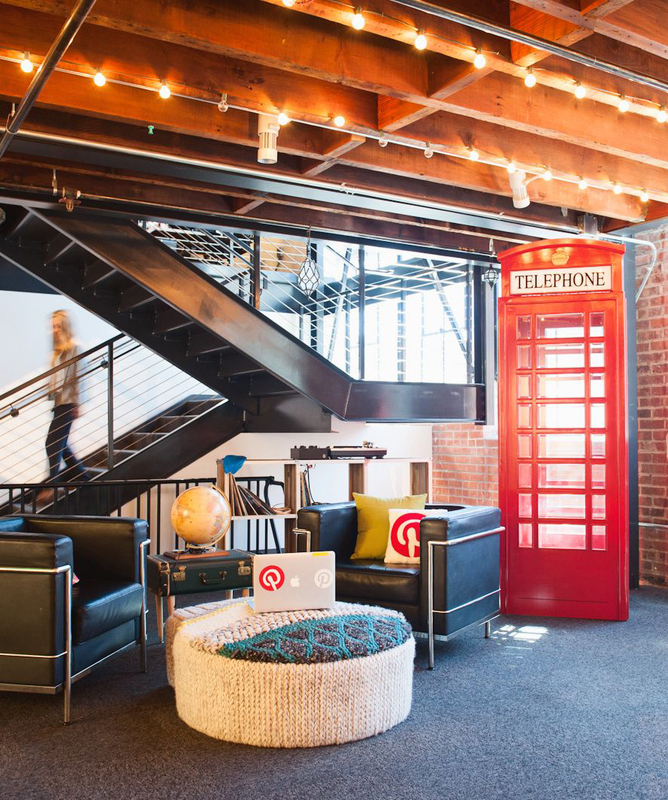 The basic layout for the space was inspired by Pinterest’s own principle of providing a blank canvas to its users: the idea was to create spaces their employees could make their own. 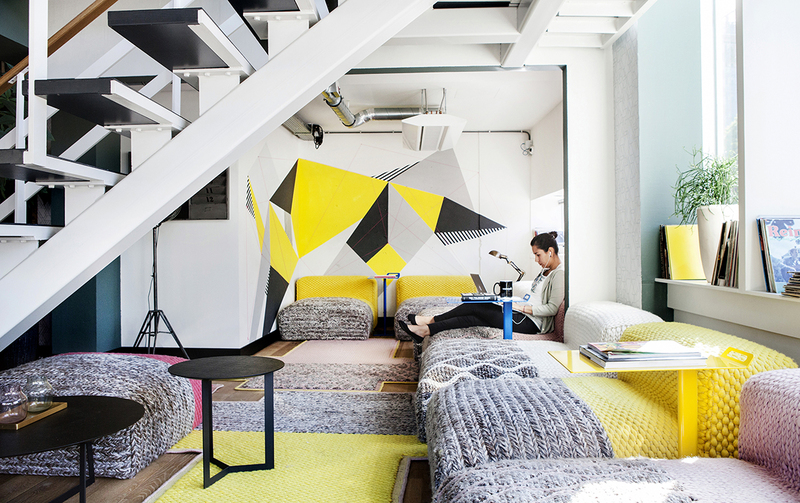 For the break-out areas they chose MANGAS ORIGINAL poufs designed by Patricia Urquiola. Rich in colours and textures, these poufs facilitate informal meetings and encounters, thanks to their flexibility and organic forms. The SeatGeek headquarters in New York is another example of a contemporary office that features GAN products to create a welcoming space and to give the impression of being at home. The company manages a search engine for sporting events and concert tickets, offering a personalised experience for every user. 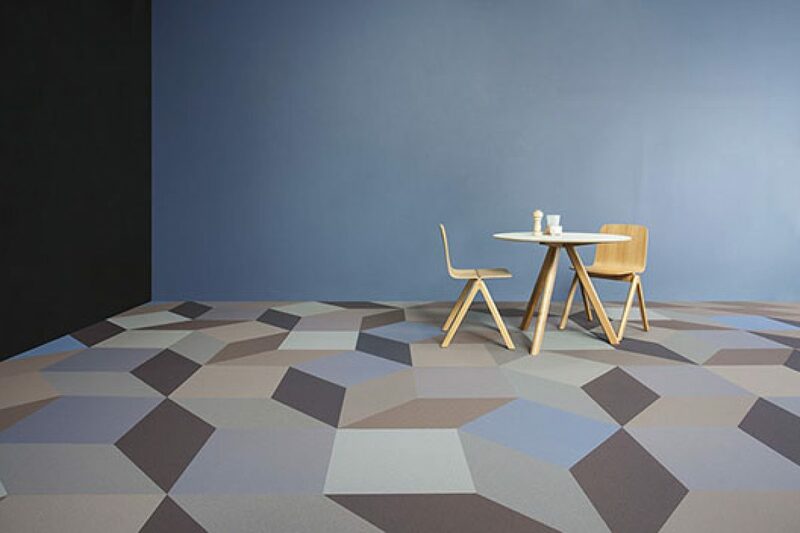 Here, the SILAÏ rugs designed by Charlotte Lancelot lend a sense of calm and subtly define a reception space with their pleasing texture, which features stitches, soft under the feet and colours that are pleasing to the eye. In the south of England, in Reigate (Surrey) the headquarters for another global company in expansion have been recently constructed: Hyundai Capital. The renowned design studio Gensler created a very practical work environment, which adapts to the constant evolution of this firm. 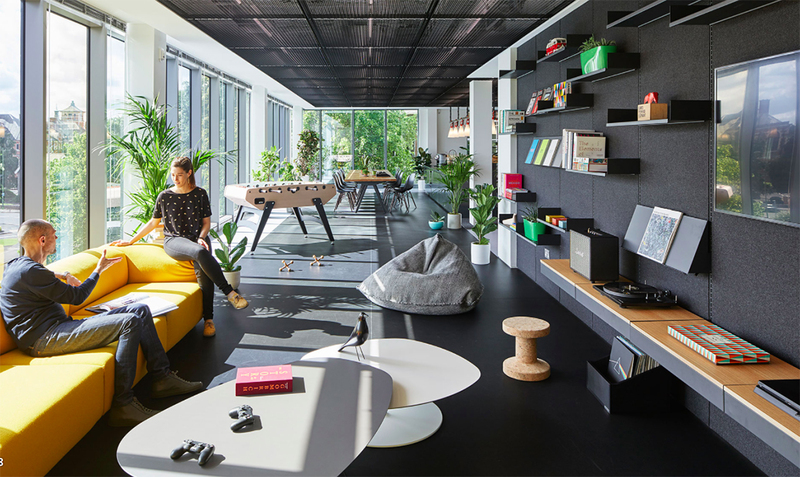 The objective was to make the employees feel as comfortable as possible, inviting them to bring their own personal objects like plants, albums and books. The poufs from the SAIL collection designed by Héctor Serrano for GAN perfectly compliment this elegant and comfortable space. The poufs mould themselves to any body shape and posture, inviting a different point of view that is much appreciated in this company’s philosophy. 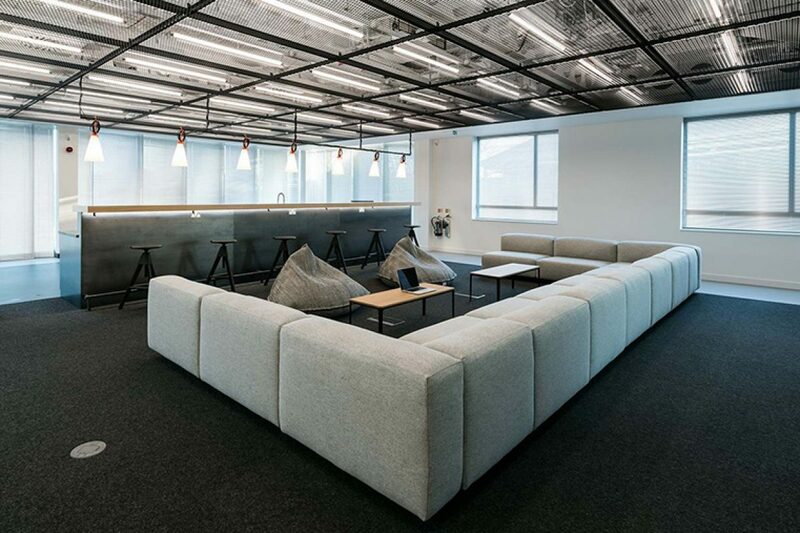 The future of office interior design seems clear with these examples of young companies that have made a strong impression and have dared to break through the traditional straight laced approach in favour of creativity and the comfort of a warmer design.